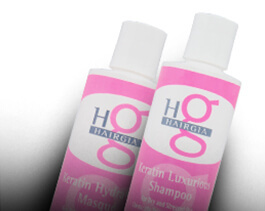 Formulated specifically for limp and thinning hair. It replenishes, moisturizes and strenghens the hair shaft while adding body, volume and shine. Hair Loss Rejuvenator Thickening Conditioner gently cleanses the scalp and removes sebum and DHT from the hair root as nutrients moisturize, nourish, and improve the hair and scalp creating a healthy environment for proper hair growth. And for those not losing hair, but looking for longer hair that grows more quickly, this is an outstanding product. DIRECTIONS: Use Hair Loss Rejuvenator Conditioner daily after shampooing. Apply a small amount to hair and distribute evenly. Leave in for a few minutes and then rinse out well. We suggest adding even more volume to thinning hair by styling with our Root Booster! We are committed to creating haircare products that are not only good for your hair, but good for the environment as well. Our products do not contain CFC’s or PABA and they have a low VOC. In addition, we never test on animals. In fact, our products do not contain any animal proteins either. 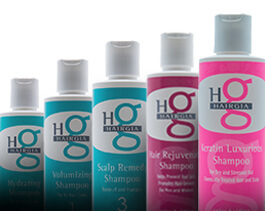 HairGia hair care is gentle and safe for the whole family! Please let us know if you have any comments, questions, or concerns. I have thin fine hair that I noticed was having a lot of breakage. My hair wouldn’t grow too much past my shoulders. I have tried many high end shampoos and conditioners. 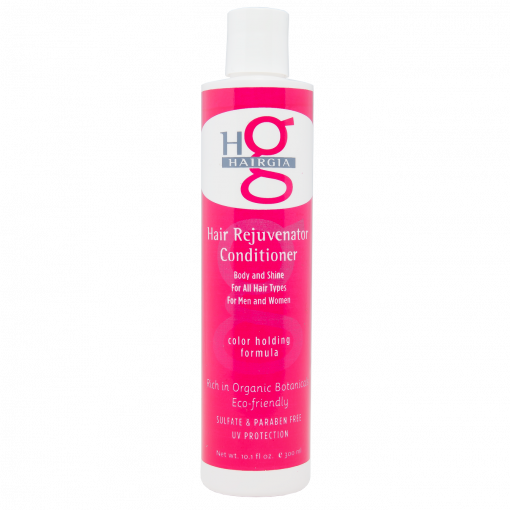 Hair Gia Hair Loss Rejuvenator Conditioner was recommended to me . I absolutely love this conditioner and the shampoo. I noticed the difference from my first use. My hair was softer, healthier looking and over the next few weeks the breakage had stopped. I have to say my hair has grown longer in this past 8 months than it has in the last 5 years. I have heard great things about the tonic and I am going to start on that tomorrow. Hair Gia is by far ahead of any of its competitors. If you are looking for a line of haircare truly different from the others do yourself a favor …..don’t hesitate to try Hair Gia.